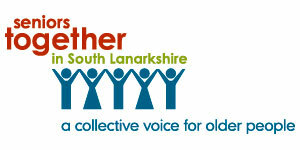 Seniors Together is a Council project in association with NHS Lanarkshire. It is aimed at improving the quality of life for older people living in South Lanarkshire. All of our associates have signed our Older People's Assembly Charter which commits them to keeping older people informed about their rights, policies and services. Our groups have people from all sorts of backgrounds with all sorts of interests and it's free to join. Seniors Together provides opportunities for older people to have their say by encouraging them to join and get involved in regular task group meetings, attend the Older People's Assembly and also our forward@fifty group. Why not get in touch by telephoning the number on the right hand side of this page or by emailing us for more information. You can also ask to be put on our mailing list to receive information or to request us to contact you by completing our contact request form. To find out more about services available to older people please go our Care for the elderly pages. More information about Seniors Together is also available from our list of publications.